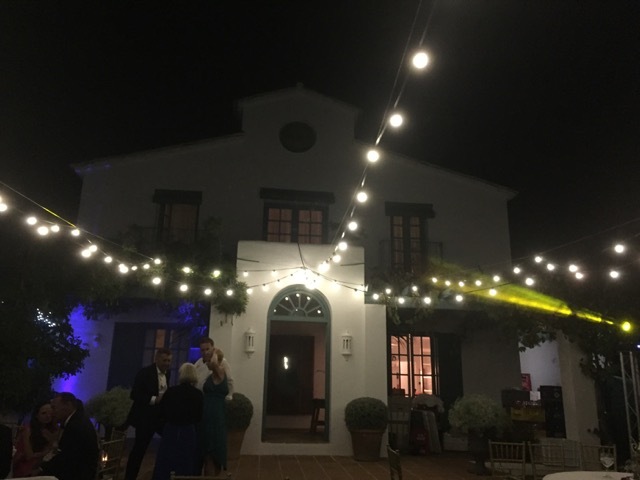 Casa del Rio in Benahavis. 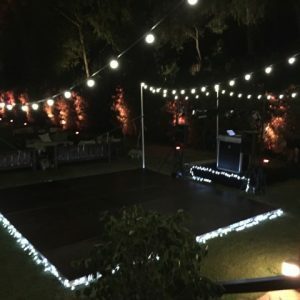 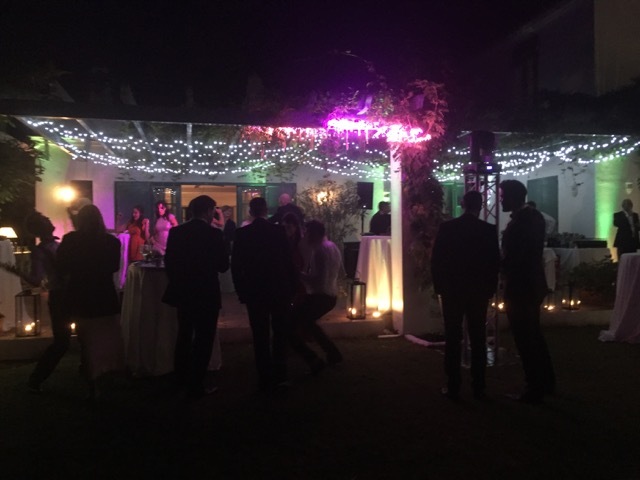 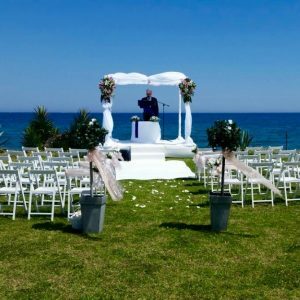 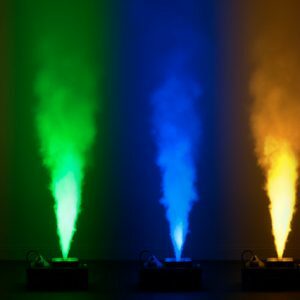 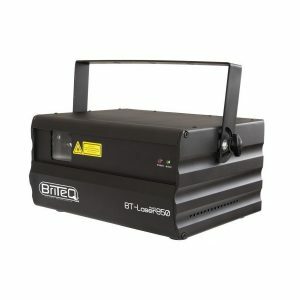 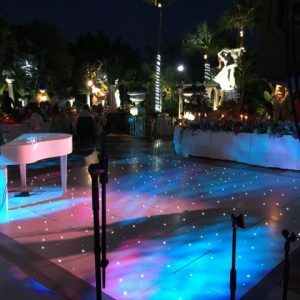 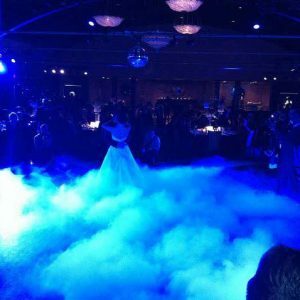 Hire request was to supply sound equipment for the pool party, sound, DJ and party lighting for wedding reception in the large garden. 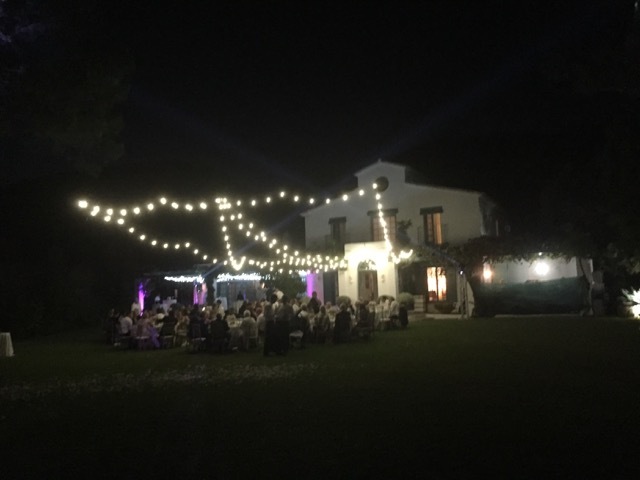 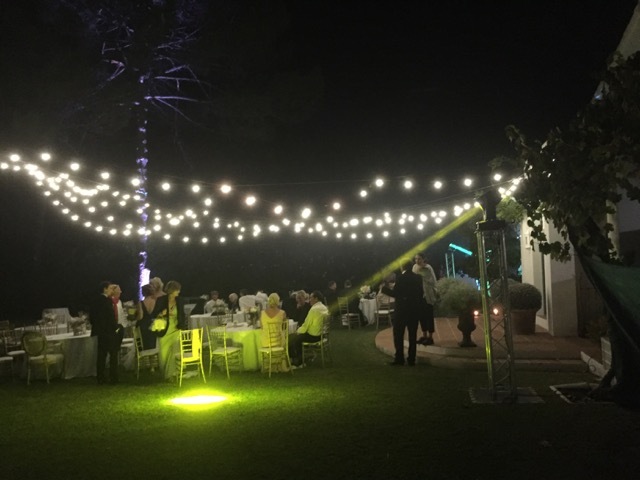 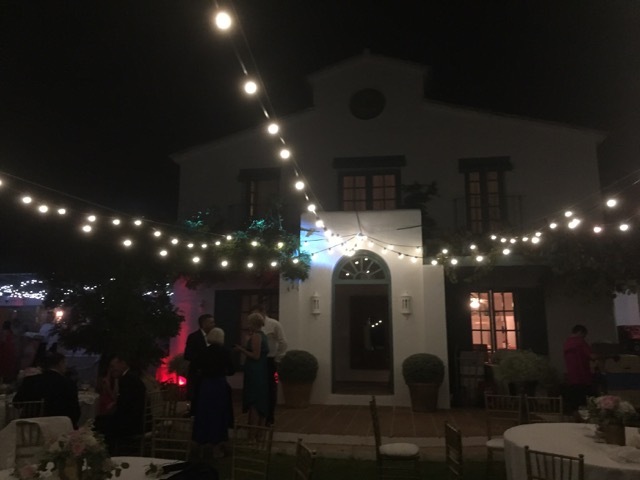 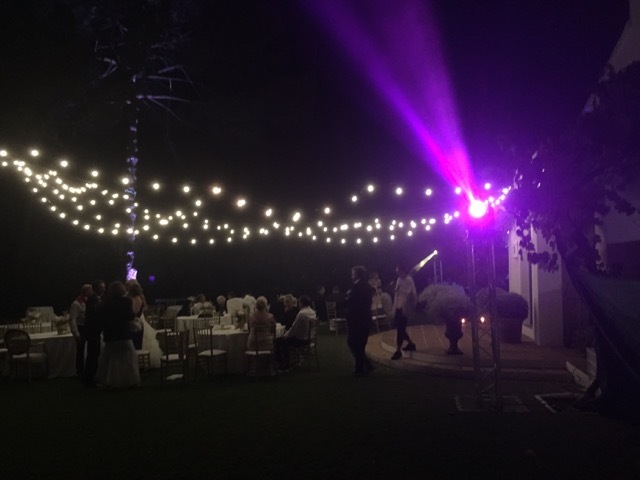 Two day’s before the event we installed festoon lighting and fairy lights.